As a home buyer, visiting a home that seems to have everything you need can have you second guessing your top budget — and your perception about what you can live without. Here’s how to make your list of wants and needs work for you when buying a home, so you get a home that works for you. A rough idea of what you want in a home is great, but that perception can easily be swayed over multiple house visits and the realities of the market. Creating a list of needs and wants is essential for success, both in terms of daily living and protecting your investment, and it’s a great way of visualizing what you are searching for. This list won’t be the same for everyone, and it’s even bound to change before you come up with a final draft, but that’s okay! The more focused you can be about the process, the easier house hunting will become. As tempting as it is to class every item in the “deal breaker” column of your list, being able to distinguish between “must-have” and “nice-to-have” items is critical. For example, unless you have a severe allergy, walking away from every home that doesn’t have hardwood throughout isn’t practical — and it can make you overlook properties that fit the bill in every other way. Deal breakers should be reserved for those must-have items that are necessary to your life. For some people, storage space and good transit links are must haves; for others, it may be the number of bedrooms or a main-floor laundry. The key is to match the home features to your life, not the other way around. Which brings us to our next point. Whether you realize it or not, you likely already have a list of what must haves you would like in a home. Whether it’s lack of storage or an unfenced yard, consider the items that you wish most often, that you could change. Ask yourself, which features inconvenience or impede your life, and ask yourself what tweaks you would make to fix the problem. If there’s a line up for the shower each morning, a second, or subsequent bathroom may belong on the must-have side of the list. On the flip-side: If you love your home but are selling to relocate — listing the things about the property that work well for you can be a great starting point. If every item seems like a deal breaker, think about satisfactory substitutes before you begin your search. If a larger home or yard is important to you when buying a home, are you willing to move a little further from your ideal area to achieve that goal? 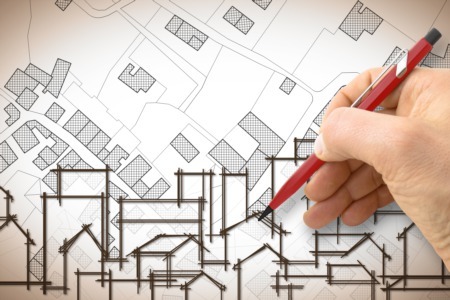 If location is important, would a property requiring renovation be the key to your perfect home? By coming up with compromises, you just may find that some of those deal breakers have shifted onto the “nice-to-have” side of the page. Once your list is finalized, it may be tempting to push your budget to the limit to get what you want, but that could have drastic consequences down the road. A qualified real estate professional can help you find the best home in your price range that meets your needs, but knowing your top budget — and sticking to it — will help you protect your investment in the long run.